There's a mild-mannered woman sitting opposite me in a honey shop in northern Tasmania, and she's having a Harry Met Sally moment. Jessica Russ is a truffle grader. During the winter harvest, she can be found in a shed at Tamar Valley Truffles, whose farm occupies a sweeping valley outside Launceston. Here, Perigord black truffles grow beneath a handsome orchard of oak trees. In the honey shop, where she also occasionally works, bamboozling customers with descriptions of Prickly Box and Stringybark, she's describing her favourite way to eat truffles. It's not fancy. "Most chefs overcomplicate truffle,'' she says, "because it's so expensive and there's so much hype about it." Her preference is to keep it simple and "without all the jazz hands", grated over scrambled eggs, or tossed through good quality pasta and butter. Her top pick is a cheese and truffle toastie, and it's at this point she begins making noises that are just a teeny bit, well, orgasmic. If the dishes don't sing gourmet cachet, that's because Russ herself is not a chef, but a mother of three and part-time farm hand. She's been informed, by restaurateurs visiting the truffle shed, that she doesn't have enough "swanky food speak" to be a proper truffle aficionado. She remains unperturbed. Because she brings an asset to her work that few others have. Jess Russ is a supertaster. The concept of the "supertaster'' was identified by American psychologist Dr Linda Bartoshuk, to describe individuals who perceive taste more intensely than others. About 25 per cent of the population are thought to be supertasters, most being women. They have a greater density of fungiform papillae – commonly known as taste buds. Jessica Russ's supertasting abilities make her a handy truffle grader. Russ' talent was spotted by her brother-in-law, third generation vigneron Anthony De Amicis of Luna Wines in nearby Rosevears. Giving her a glass of wine from field blend grapes in his vineyard, he was intrigued by her descriptions. Although she used all the wrong words, butter, hay and "a bit of sawdust'' instead of winemaker lexicon like "oak'', he was convinced she was a supertaster. 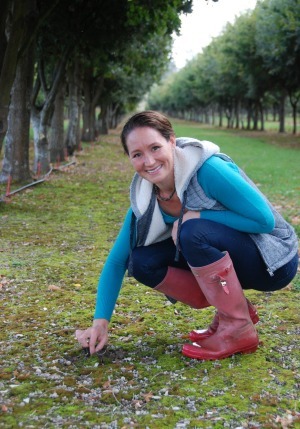 Russ wasn't aware of her abilities when she began working for truffle farmer Marcus Jessup, whose family owns Tamar Valley Truffles. He needed someone to clean the crop during harvest, which lasts for about three months from June to September. Russ took on the task, standing opposite him at the grading table, cleaning truffles painstakingly with a tiny brush and setting them on cloths to dry. Then Jessup graded them. Grading is a laborious process that involves sniffing each truffle all over, checking for the multiple scents of fresh, ripe truffle, which vary from fruit cake to kerosene to roast beef, and sniffing out rot. Truffles rot when overripe, and can be infested by all manner of bugs that leave trails and eggs behind them. "The finished product of truffle may be glorified and exalted, but it's all quite revolting," says Russ. All traces of rot and bug life are cut out incrementally until what remains is pristine. Occasionally, Jessup would pass comment on how a truffle smelt, and when he wasn't looking, says Russ, she picked them up to see if she could smell the same thing. "I finally got the courage to pass one to him and say it smelt of over-cooked cabbage." Jessup was astonished, for a good truffle grader is a rare and valuable commodity. He tested her with a couple more, which she described as butterscotch, and wet dog (not a bad thing in a truffle), and a new part-time career in the shed was born. So what does a great truffle smell like? Russ describes the main, underlying scent as sweet, earthy and nutty. "From there you can get red wine at the end, or really smoky bacon, or a strong garlicky scent. You might get sweet mushroom, too." There are curious occupational hazards. After three winter months and hundreds of kilos of truffles, the inside of Russ' nose is raw. "And when I hug people, I can smell their earwax," she adds. There are perks too. While the premium and first grade truffles go to export and restaurants, some of the smaller chunks that have been cut away in the grading process can be at that perfect sweet point, and a few of those she gets to take home. "There's something about a black truffle that just smells lush and indulgent and syrupy sweet and uuuuuh, just amazing," she says, evidently happy to have found a fitting use for her nose, and an appreciation for the product too. Cheese and truffle toastie? I'll have what she's having. Buy Tamar Valley Truffles products online from its website. Truffles every-which-way – in truffle oil, salt, mustard, cheddar, butter and more. Truffle gift boxes and signed copies of My Tasmanian Menu, the new book from Masterchef's Amy Luttrell featuring, you've guessed it, more truffles. Truffles direct from the farmer himself while the season lasts. Marcus Jessup and his family will be at award winning farmers' market Harvest Launceston, every Saturday from 8.30am-12.30pm, with a range of product and a small supply of black Perigord nuggets for the adventurous home cook – from now until beginning of September. 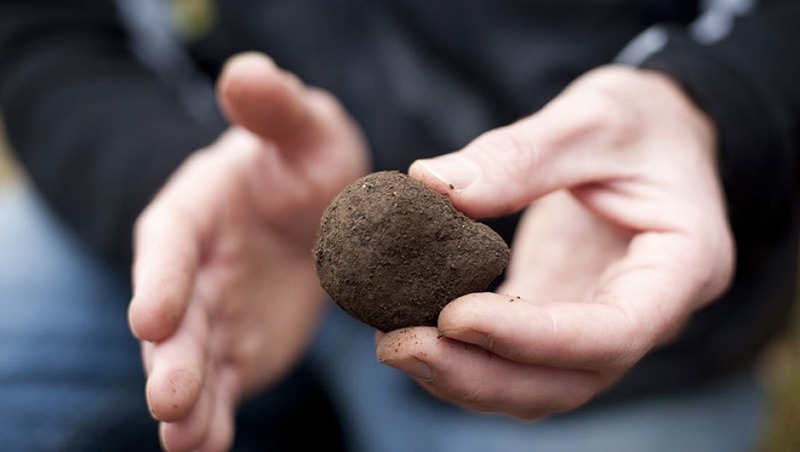 Exclusive to Hill Street West Hobart – Cradle Country Farm truffles from the sleepy hamlet of Lower Barrington are available throughout the truffle season at the special introductory price of $1.50 a gram. Buy direct from Tassie truffle darlings Henry and Anna of My Kitchen Rules fame. No flash-in-the-pan celebs, these two are the second generation of Australia's oldest truffle farming dynasty, exporting, selling direct and taking the family business to the next level. Buy online or in person at Salamanca Market in Hobart every Saturday. 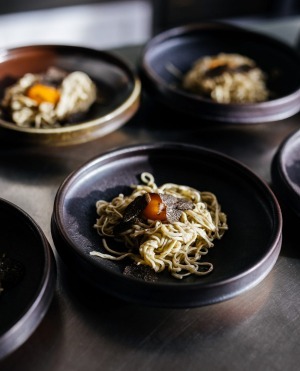 Tamar Valley chef Matt Adams shares the truffles and the love in his poetic, seasonal menus. Perigords come from local farm Stoney Oak Truffles for a hint of truffle in, on and around everything on the plate. Inspired, top-notch truffle infused nosh, matched with wines from onsite vineyard Velo. Launceston's new luxury hotspot Silo Hotel features the black diamond in its restaurant Grain of the Silos. Food director Massimo Mele and chef Peter Twitchett have created a menu celebrating all things Tasmanian. Try the potato gnocchi with mushrooms, burnt butter and grated truffle – served with jazz hands. Ex-Melbourne-now-Hobart couple Kobi Ruzicka and Sarah Fitzsimmons manage kitchen and floor respectively in one of Hobart's hottest contemporary dining rooms, Dier Makr. Back from their winter hols the pair are set to dazzle diners with truffle-anointed degustation dishes for the rest of the season. Stylish dining, personal service and eclectic wine list. Contemporary Australian dining straight up, with Art Deco Hobartian elegance on the side. A great range of truffle-tinged dishes and no messing about. Think standout Tasmanian meats like Cape Grim eye fillet with truffled mushrooms, and classic pairings such as truffle mashed potato. The Hobart eatery on everybody's bucket list, now under the stewardship of gifted chef Analiese Gregory. An open kitchen showcases the talents of the team, so you can follow your king george potato and truffle galette with burnt butter all the way from peeling to plating to nom-nom. From Rodney Dunn of the Agrarian Kitchen cooking school, farm and restaurant, everything you need to know about cooking with black magic. Featuring 60 recipes from the simple to the advanced. Designed to be do-able for the home cook, the recipes are lush and comforting. Buy online, signed by the author and gift wrapped. Discover the romance of the truffle farm. On the idyllic Derwent River, Truffle Lodge offers luxe bush glamping at one of the first truffieres planted in Australia. Once abandoned and covered in blackberry vines, the truffiere is being nurtured back to life. Guests enjoy spacious five-star safari-style tents, with chef-prepared dining.